Combine in the bowl of an electric mixer until dough forms. 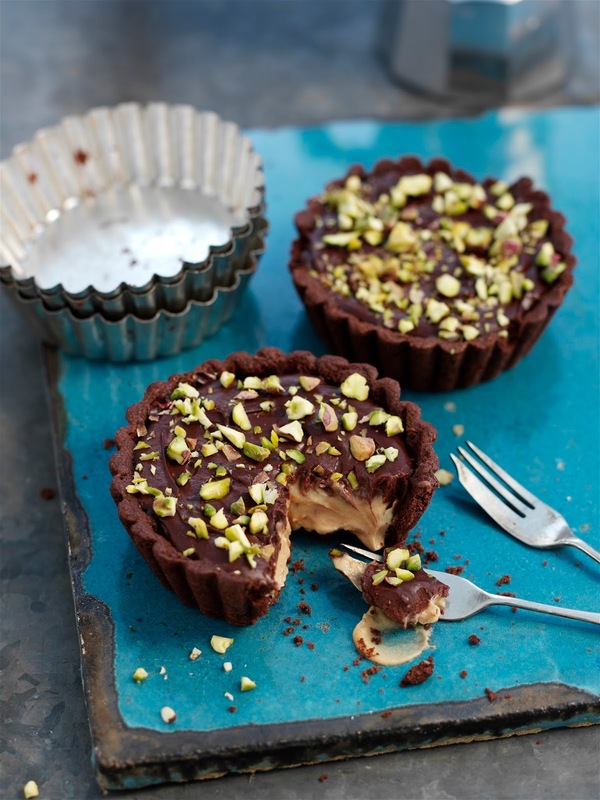 Gently press into the desired tart pan or individual tartlet pans. Place in freezer until firm. Place a small square of parchment paper on top of the dough and place either baking weights or dried beans on top. Bake in 400C / 180C/gas mark 6 oven until sides are slightly firm, approximately 10 minutes. Remove from the oven and let cool. Remove weights and bake again to crisp, approx 5 minutes. If the dough is not baked enough it will be challenging to remove from pans. In a saucepan combine, in this order, water, sugar, and corn syrup. Bring to a boil and cook until syrup reaches desired golden colour. While the sugar is boiling have a cup of water and brush near. Occasionally brush the sides of the pot with water to prevent the sugar from crystallizing. Once the sugar syrup is golden carefully add the butter and heavy cream while stirring. Add liquid slowly to prevent splashing, the mixture will also bubble so make sure your arms are protected. Once all cream and butter are added remove from saucepan and place in the desired storage container. Leave at room temperature stirring occasionally, once cool place in refrigerator to cool completely. Gently scoop chocolate cream mixture (ganache) onto the caramel mascarpone mixture already in tart shells. Make sure ganache is warm enough so that it forms a smooth top. Refrigerate the finished tart until ready to serve. 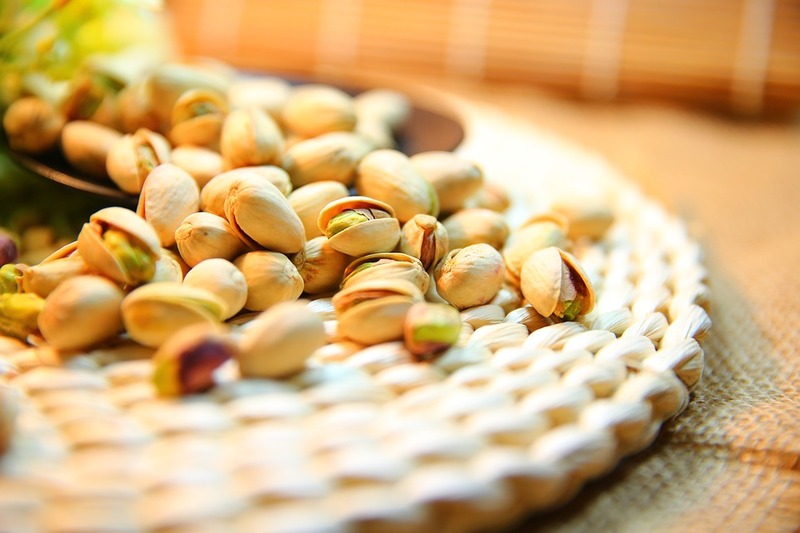 Top with toasted, salted pistachios. The remaining caramel sauce is delicious poured over ice cream. "10 Afternoon Mini Cake Recipes: Afternoon Tea Style"
for the tart shells, the butter is at room temperature or cold butter ? Do I 'cut' the butter in the flour then only add other ingredients or I creamed the butter with sugar then only other ingredients?